Pregnant Mamas: Are you having pubic bone pain? Experiencing a stabbing feeling when you walk or roll over in bed? Two of the biggest contributors to pubic bone pain are a subluxated/misaligned pubic bone and the adductor muscles. 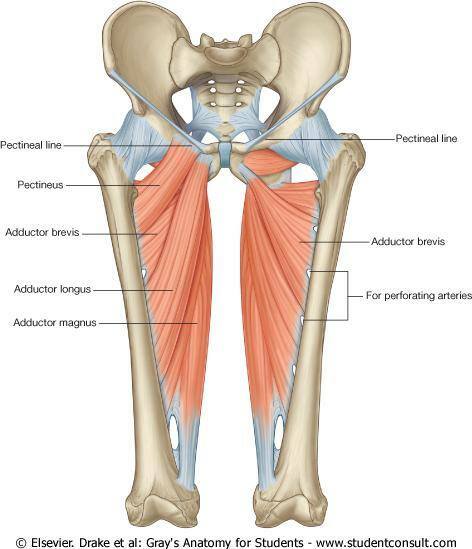 Due to changes in biomechanics of the pelvis in pregnancy, there usually is compensation in the adductor group (pictured above) so adjustments, myofascial release and strengthening of adductors can be a lifesaver at the end of pregnancy. At Family Focus Chiropractic, we also teach you AT-HOME pelvis balancing techniques to continue healing as relaxin in pregnancy makes joints more mobile and less able to “hold” adjustments. We have training in everything pregnancy including: breech balancing techniques and Spinning Babies. 2. Come in and get a check up by calling 952-474-1949 so that we can pinpoint the problem and give you a plan specific to you.